Triad is pleased to offer safe, high quality, before and after school programming for K-5 children enrolled in Triad Community Unit School District #2 buildings. Beyond the Bell provides extended-day care in each of our elementary schools that successfully connects the educational school day with those additional hours that children may need to stay at school. Each building offers the ideal combination of quiet time, homework time, play time and fun. All staff members are trained, employed and supervised by Triad CUSD2. Childcare payment assistance may be available through the Children's Home Aid Society (CHASI) Child Care Resource Referral Child Care Assistance Program. Contact 800-847-6770, ext. 360 to see if you qualify. Students who choose to eat breakfast in the mornings are walked to the cafeteria at 8:25am each morning. Breakfast must be purchased separately, through your student's school. Elementary schools use a key card system to access the buildings. When you register for Beyond the Bell you will be given a key card, each family can have up to 2 cards. 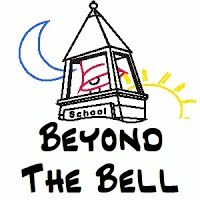 Beyond the Bell is not open on school holidays, school vacations, or snow days. During half days of school attendance, Beyond the Bell is offered at each elementary school. On these days the students must bring their own sack lunch. During the afternoon Beyond the Bell each student will receive a snack. Outside food is not allowed unless a medical issue dictates this to be a necessity.